Our insight-rich research methodology will help you zero in on what’s working, what’s not, where and why from a multitude of perspectives. In addition, it pinpoints challenges existing inside the company that will need attention to create the best paths to success. We will help you discover what shoppers want, what they expect and how they want to feel. Using both typical and atypical methods, we gauge your shopper’s desires, expectations, motivators and emotional triggers for your product, people and store. You will uncover key insights on what they’re seeking from your retail store experience—both stated and desires buried deep into their subconscious. In a world of shiny new objects, it’s critical to understand which technologies make sense. Based on findings, we now have a good grasp on experience opportunities, the people we want to motivate and what may titillate their interest and participation. Now—and only now—are we ready to shortlist the technologies that may support our mission. We can test and refine new concepts in an agile lab using irrefutable user experience metrics to tweak for maximum impact. Once we help get the concept into the real world to test, we refine and rev up the business case in preparation for C-level go-forward discussions. The ultimate goal is to roll out and roll right into the “scale and optimize” loop. This is a journey and is continually evolving — just like technology that constantly improves. Once in field, we’re constantly looking at opportunities for improvement. Using the best tools on the market, we focus on the three lenses of data (transactional, behavioral and emotional) to keep things humming. You have a plan or a pilot but you just can’t get the proof you need. You need some big ideas and you don’t have 3 months and a gazillion dollars to come up with them. We don’t need either to help. Every vendor pitch sounds the same and at this point it’s a cacophony. You’re right, it is. We can come in as your Switzerland and manage the madness. Added bonus, we’re really good at weeding out the car salesmen from the real solution providers. Send us your RFP and let us weigh in. What are the current as well bleeding edge technologies you should consider? What are the potentials and challenges for each? Which vendors are leading, how do they differ and what are the realities versus the pitch deck? How could you use something off the shelf and hack it uniquely to support a big idea? When it comes to recommending the best options in the marketplace, know that we have no financial relationships with vendors and are constantly scouting the landscape for both the established and the emerging, so you can count on our unbiased assistance. We have our eye on what’s cool and what’s just crazy…and all of the in-between. Sometimes, in order to open minds, it’s important to get people playing with tangible tech. Our hands-on “Lab Lunch” does that, creating a live learning environment for your innovation team that not only ignites understanding, but also sparks ideas and exciting vendor conversations. We will show you and your team who’s making waves in retail (and beyond), what’s their secret, and how to follow their lead for success. Spend half a day learning and half a day doing. Walk away with a handful of innovation ideas you can move on immediately. 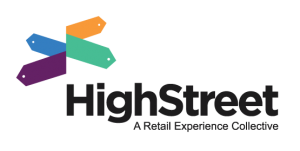 Spend a day with HighStreet as your guides as we bus your team to 4-6 different retailers doing innovative things in the market. Get hands-on with what works and why. Available in Atlanta, New York, San Francisco, Chicago, Los Angeles and London. Design an agenda with us to address your team’s unique needs.